Home Testing Kit Versus Professional Indoor Air Quality Test: Which One Should You Use? When you look out over the vast landscape of do-it-yourself culture, it seems every day some new at-home product or service is on the market. Some of these products are the real deal—cheaper, faster, better or at least the same quality as what you might have formerly paid a professional to do for you. But other products and services may look great on paper and disappoint in real life. That is because they are missing the one key ingredient that can make what they have to offer truly valuable: human expertise. It takes years, decades in most cases, of in-depth study, training and practice to become an expert in any field, and indoor air quality is no different. Knowing where to look, what to look for, how much of it is concerning, potential symptoms, remediation techniques and long-term solutions can take a lifetime of study, and that is time most of our customers don’t have! In this post, we take a timely look at whether those newly popular at-home indoor air quality testing kits are worth the time and expense they require. Are You Really Saving Money with At-Home Testing? 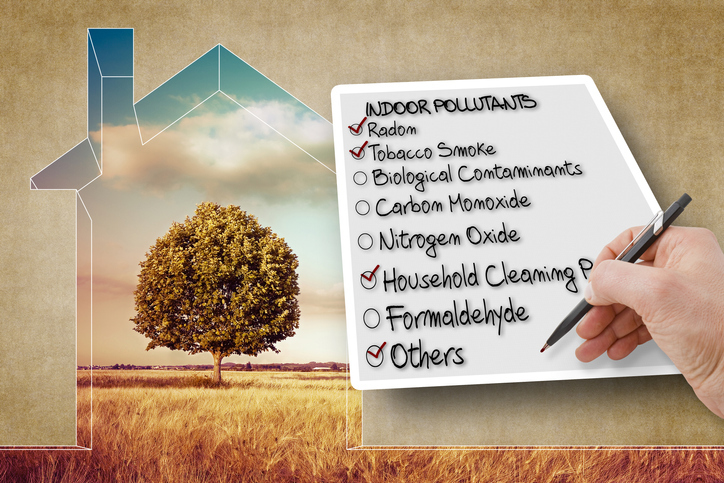 According to the most recent report from Home Advisor, the average concerned homeowner will spend around $410 for comprehensive indoor air quality testing (range of $150 to $890). Compare this with the costs of some heavily advertised at-home air quality testing kits that test for mould, mildew and similar toxins. Some of these kits can cost just $30 or $45, which sounds like a steal in comparison with the cost of professional testing services. Other tests may run upward of $100, but these can still sound like a bargain since you can do them at home at your leisure. But if these types of DIY tests were really worth your investment, then why did Consumer Reports begin advising against using at-home testing kits as far back as 2007? Consumer Reports, if you are not familiar, is an independent oversight agency that tests products and then issues reports. The kits do their job—they will tell you if mould is present inside your home. They will also tell you the formal scientific name of the mould spores the test has detected. What these tests won’t tell you, however, is whether you should be concerned about a) that particular type of mould, and b) the concentration of that particular mould in your indoor air. Without these two pieces of information, all you know is that yes, you have mould inside your space. You still have to find out more about that type of mould and discover if the concentration is concerning. Then you still have to attempt to sleuth out where the mould is colonizing (in your basement? Inside your drywall? Inside your crawl space?). Then you have to remediate it. Unless you have a specialized background in mould inspection and remediation, you will still need to hire a professional to come to your home and do this work. The truth is, mould and mildew is always circulating about in our indoor and outdoor air. Some mould is actually good for us—after all, it’s what gave us penicillin, a life-saving antibiotic. Mould, mildew and other fungi are all around us in the environment. They will float indoors easily the moment you open a door or window. So when you break out an at-home DIY air quality test and it tells you that it has detected mould spores in your home air, this technically isn’t news! But what that home air testing kit won’t tell you is that most mould, mildew and fungal spores the test picks up will not harm you and are unlikely to reach sufficiently high concentrations to cause any health issues. High quality indoor air testing is a specialized type of testing that comes complete with personalized guidance, knowledgeable and useful analysis and professional treatment recommendations. You may pay more for this type of testing, but you get full value for your hard-earned cash. For starters, professional indoor air quality testing will test for a lot more than just a few floating fungal spores. Indoor air quality tests worth the money you pay for them should test for a comprehensive array of biological, chemical and combustion pollutants. At the end of the 72-hour sampling period, you will receive a full-color, multi-page report detailing each of the airborne pollutants detected, their concentration levels, urgent threat alerts and immediate or long-term remediation recommendations. Best of all, you will receive the benefit of face-to-face, personalized report analysis from one of our highly trained and experienced indoor air quality consultants. By the end of the test period, you will know precisely what is in your indoor air that may be concerning, plus how concerning those elements are, plus a selection of immediate and long-term remediation and maintenance options you may wish to pursue. Now that is what we call an indoor air quality test worth investing in. Are you concerned about the quality of your indoor air https://cleanairsolutionshamilton.ca/indoor-air-quality-testing.php at home or work? We can help!